Our clients can avail from us, a series PMDC motor as per their industry specific needs. These are widely appreciated for trouble-free performance and long service life. Designed with the assistance of our experienced technocrats, these motors are extensively used in conveyors and door openers, welding equipment, x-ray, and tomographic systems and pumping equipment. 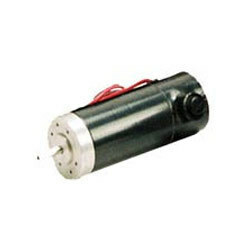 Looking for PMDC Motor ?